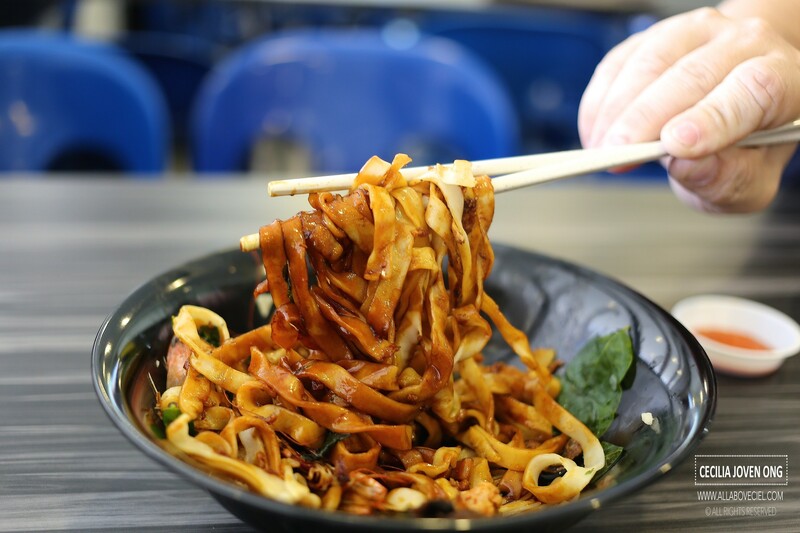 If you ask for a recommendation for homemade noodle commonly known as Ban Mian, this particular one is usually amongst one of the recommendations. 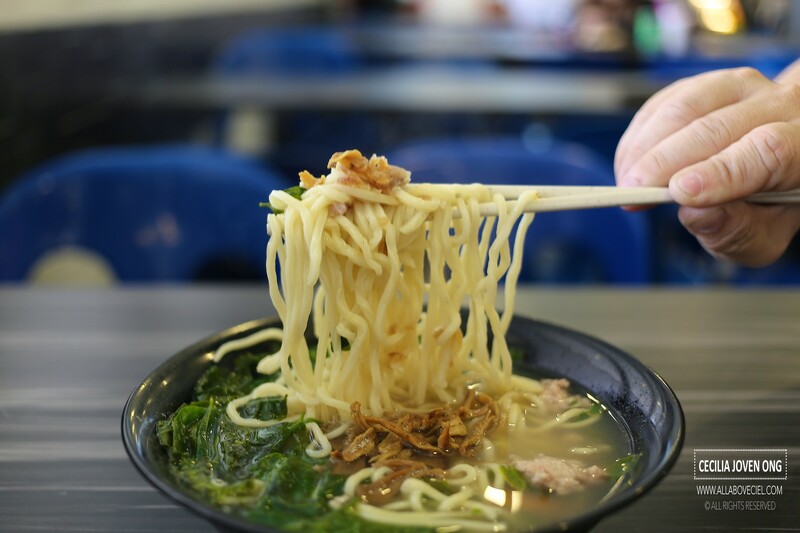 Some even listed it as one of the best in Singapore if is not the best. I have heard about them but i have not been to this part of Singapore much so never have a chance to try it so far. When i was supposed to visit an old coffee shop in Geylang, i made an effort to come here for lunch. 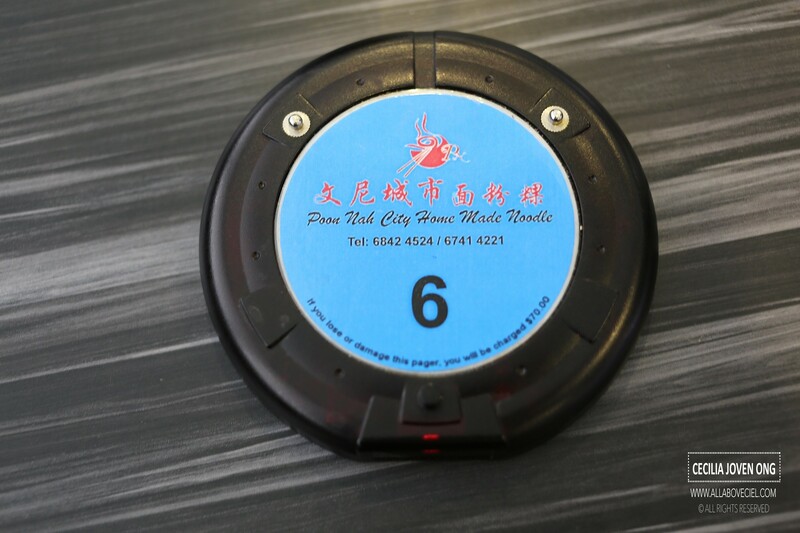 They are located at the food court at level 5 of City Plaza. 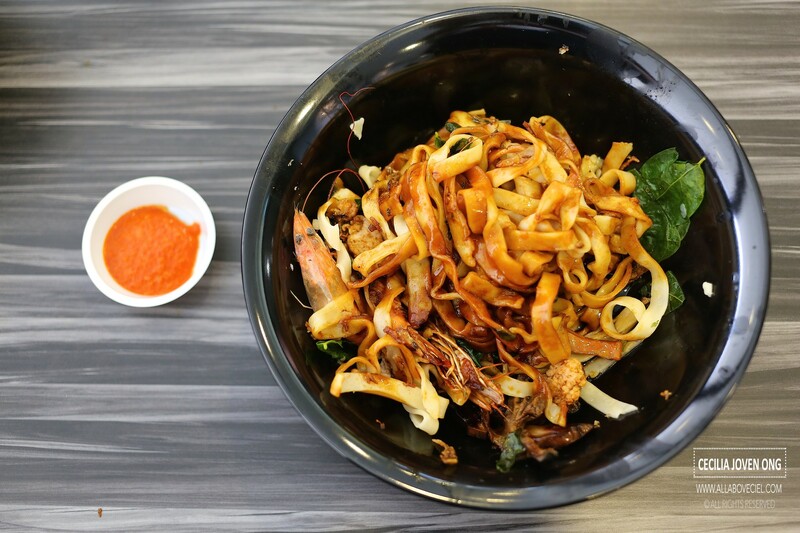 You could choose from their 8 different types of noodles than paired it with sliced fish, prawns, kidney, fish maw and even clams. After some thoughts, i went with their ban mian with prawns, the dry and the soup version at $ 3 each. After ordering, i was issued a buzzer for food collection later and it took slightly more than 5 minutes before it buzzed. 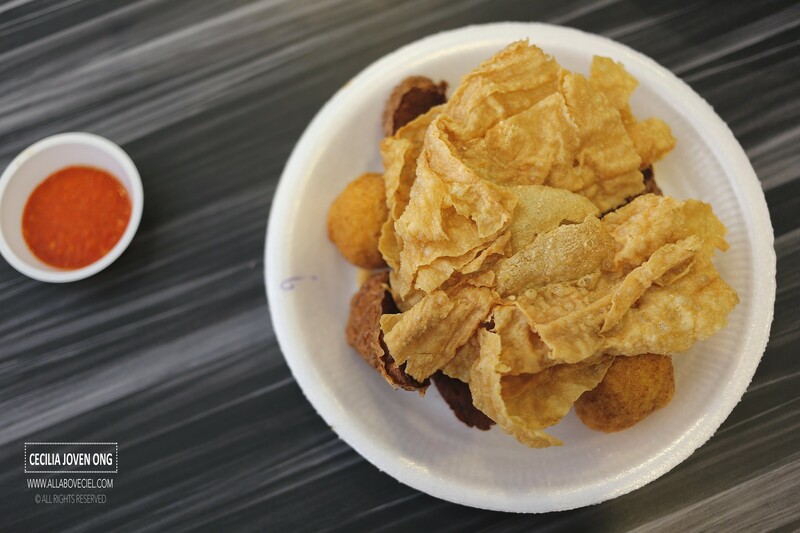 They do offer some deep fried items to go with their noodles, i tried their fried beancurd, fried ngor hiang and fried fish balls amongst the others like luncheon meat and more. Since it did not taste too special, i would rather just skip it but it did taste nice when eaten with their spicy chilli. 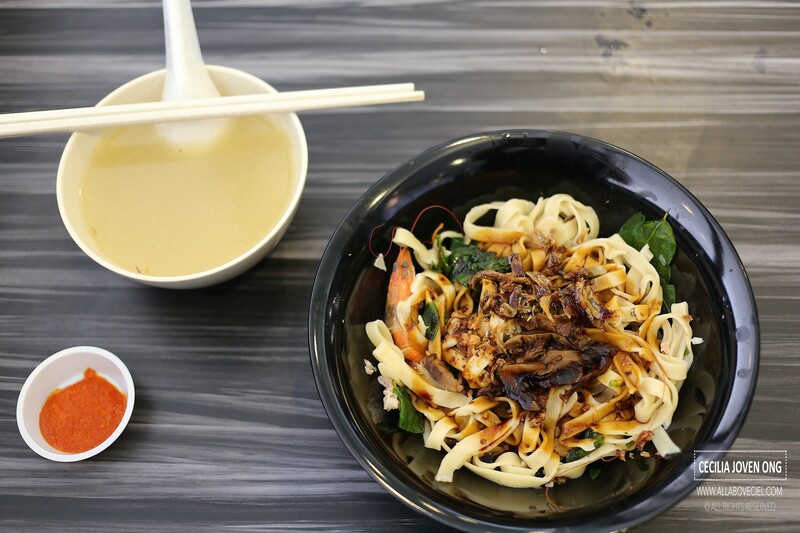 Their soup You Mian consists of a good portion of noodles, served with prawns, sliced mushroom, minced meat, vegetables and ikan belis. Perhaps it has to do with my expectations as i did not find anything too special of this bowl of noodles. The texture of noodles was just right with a slight springiness and not overly soft but the soup did not have much flavor. The choice of noodles for the dry version was Ban Mian, it was a slightly better choice than the You Mian that i had for the soup one. It was served with the same ingredients but added with their dark sauce. To start, i tossed it a little to mix the dark sauce well with the Ban Mian together with the chilli underneath. 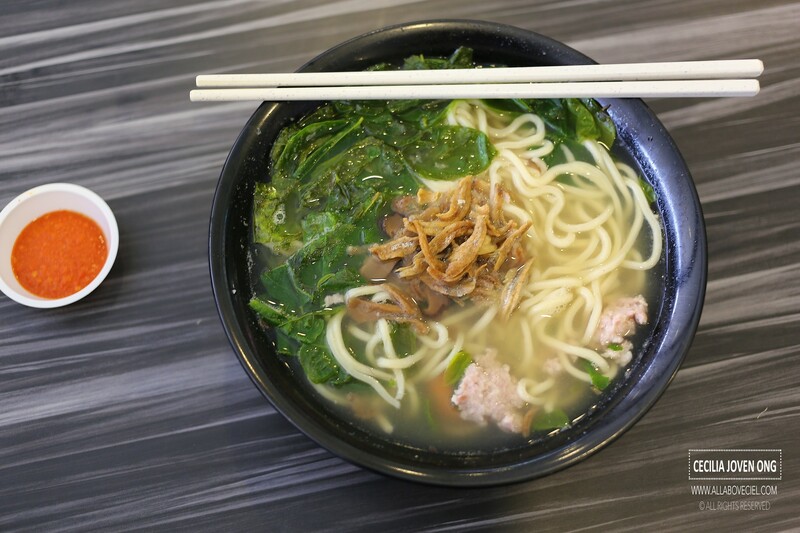 The Ban Mian was cooked just right for an al-dente texture with a firmness and chewiness. It tasted nice though not too impressive as i had eaten better one than this. Overall, i do not think i like it enough to just come specifically for it. I might just eat it again if i happen to be in the vicinity with no other better option.